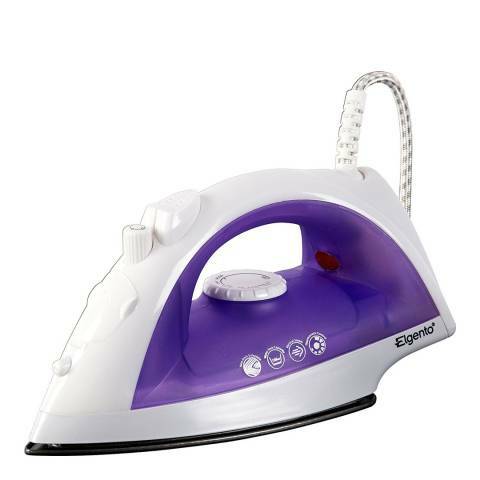 Glide through your ironing with this 2000W steam iron, ideal for smoothing out creases easily and efficiently. Equipped with a non stick soleplate and variable steam settings including vertical steam, this iron can create a smooth result every time. The generous 150ml water tank avoids the need for constant refills and the durable 1.8m cord allows you to move freely, providing room for larger items such as bed linen.